In James Turrell’s hands, light is more than simply a source of illumination: it is a discrete, physical object. His sculptures and architectural interventions elevate our experience and perception of light and space. Squares of sky seem to float, suspended, in ceilings or walls; architecture disintegrates; and brilliant geometric shapes levitate in midair. 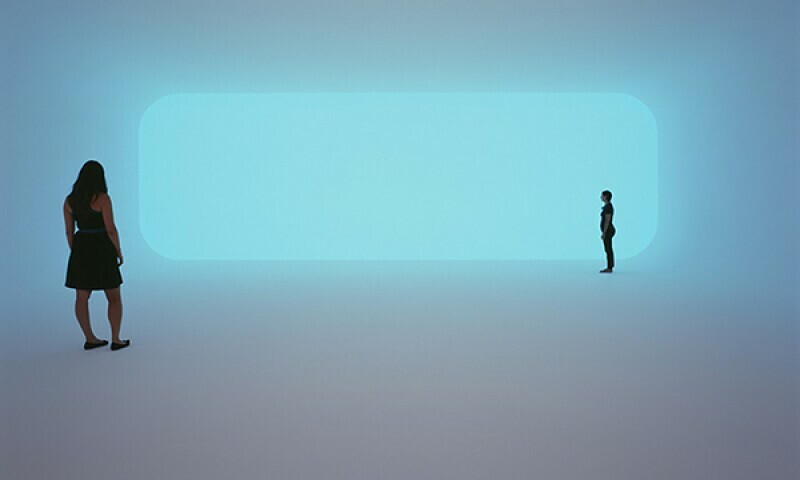 Turrell began using light as a sculptural medium in 1966, painting the windows of his studio in Santa Monica to seal off the natural light and experimenting with projections. His practice has been shaped by the ongoing manipulation of architecture, framing and altering the way viewers engage with the environment. A pioneer in the Southern California Light and Space movement, MASS MoCA presents a multi-decade retrospective of Turrell’s work in B6: The Robert W. Wilson Building — with galleries designed and constructed specially to best accentuate his installations. This exhibition features a major work from each decade of the artist’s career.